As I finished a presentation on suicide, a colleague, disturbed by statistics he’d just heard, approached me. As a family practitioner who’d lost a family member to suicide, he was particularly concerned to learn about the short time span that typically elapses between suicidal patients’ final visit to their doctor and their completion of suicide. My colleague confirmed my suspicion that when patients say they’ve been contemplating suicide, many physicians and therapists don’t know the key questions to ask these patients—and themselves. Suicide is to a therapist what heart failure is to a cardiologist. I’ll stay late or quash a subpoena for a person with an active history of suicidal thoughts or ideation. But, despite my best efforts, a patient considering suicide controls the situation, and the care provider often doesn’t understand that person’s journey or thoughts. Jamison also discusses the controversial death of explorer Meriwether Lewis as suicide, noting that Lewis described his life as “indolent,” “filled with gloomy thoughts,” and failing to “advance the information of the succeeding generation.” Ironically, though Lewis considered himself a failure, my 9-year-old knows his name. In his song “Rhyme & Reason,” musician Dave Matthews sings, “My head won’t leave my head alone/I don’t believe it will ‘til I’m dead and gone.” This song goes on to express the pain of addiction and suicidal thinking—two highly correlated states. This song haunts me as well as enlightens me about the thought process leading up to suicide, especially in the case of Tom. Tom always “stuck up for the little guy” and was the life of the party and the spokesperson with a perfect balance of humor and eloquence, though he just couldn’t see himself this way. He was continuously mired in negative self-perception and self-doubt, which was usually caused by negative life events or perceived relationship failures. In 1978, when Tom was in seventh grade, his brother found a suicide note Tom had written. Then, between Tom leaving the Army and attending college in 1987, the same sibling found Tom overdosed on pills and alcohol. Tom’s stomach was pumped, and he was ordered into counseling. In 2000, Tom booked a hotel room and ingested enough medicine to kill himself, only to wake up the next morning saying, “Why the hell did I wake up?” He asked the same sibling to accompany him to a psychiatric hospital, where he admitted himself. After 11 months of Alcoholics Anonymous, psychotherapy, and psychiatric follow-through, Tom completed suicide in April 2001 even though his family had thought he was doing well. Like Lewis’ death, the cause of Tom’s death is controversial due to the combination of methadone and alcohol found in his bloodstream. Was it an overdose as he was attempting to get high? Was it an accidental or purposeful poisoning? Tom’s family will never know. The many variables in Tom’s case cannot be fully accounted for here; however, the history of ideation and attempt, the alcohol and drug use, and the negative self-perception and doubt are all elements manifested in numerous other suicide cases. In Pat Conroy’s book South of Broad, the main character expresses the lasting effects on his family of his brother’s suicide: “Somehow we managed to survive that day, but none of us ever experienced the deliverance of recovery. I realize you can walk away from anything but a wounded soul.” This statement powerfully resounds with me both professionally and personally because Tom was my brother. Vigorous suicide prevention efforts have increased the awareness of certain suicide statistics in recent years. Most therapists know spring is when the most suicides occur, and women tend to use drugs to commit suicide while men are more likely to choose guns. But most don’t realize the majority of victims visit their general practitioners in the month prior to their suicide or that only one-third of victims leave a note. • exposure to the suicidal behavior of others, such as family members, peers, or media figures. Although women are two to three times more likely to attempt suicide, it is only the 15th leading cause of death for women; it’s the seventh leading cause of death for men, according to 2010 information from the Centers for Disease Control and Prevention (CDC). According to Nock (2009), the suicide rate among black adolescent males has risen greatly in recent decades. According to Joe and his fellow researchers (2006), it’s important for a clinician to recognize ethnic differences when assessing and treating black adolescents, along with paying special attention to black adolescents who present with anxiety disorder. In subsequent years, Joe presented research again demonstrating the association of anxiety with suicide attempts in black adolescents, most specifically social anxiety, otherwise known as social phobia (Joe, Baser, Neighbors, Caldwell, & Jackson, 2009). Some caveats to understanding blacks’ suicide risk include the fact that anxiety disorders and comorbid psychiatric diagnoses have been correlated as a predictor to suicide attempt, and three or more comorbid diagnoses increase suicide risk sevenfold. 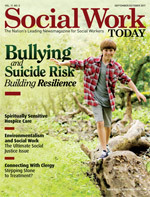 Joe (2009) reports that black adolescents living in the southern United States have a diminished risk for attempting suicide, perhaps due to the protective factor of cultural and religious beliefs. According to the CDC, only 0.7% of blacks’ deaths are attributed to suicide compared with 1.4% of whites deaths, 2.6% of Native Americans, and 1.7% of Asian Pacific Islanders. Within the latter two minority groups, suicide is the eighth leading cause of death, ranking much higher than it does among whites and blacks. CDC data show that Hispanic female high school students reported higher rates of suicide attempts than their white, non-Hispanic or African American counterparts. Research into childhood suicide has highlighted numerous risk factors, including a previous suicide attempt, depression, bipolar disorder, drug and alcohol abuse, eating disorders, chronic anxiety, homosexuality/bisexuality, the use of certain medications, and family history. Childhood victims of bullying or abuse are at increased risk of suicide, as are children who suffer stressful, psychosocial events such as parental divorce, separation, or a death in the family. Suicide, according to the CDC, is the third leading cause of death in people aged 10 to 24. However, in early adulthood (ages 25 to 34), suicide becomes the second leading cause of death. Our nation’s current economic climate begs the question of how closely suicide rates are tied to the economy. Although such rates for the latest recession are unavailable, previous research indicates that unemployment correlates with suicide rates, increasing the likelihood, according to the American Academy of Suicidology. Preventive measures regarding suicide include medicine and psychotherapy as well as follow-up care after hospitalization or a suicide attempt. Medication cuts suicide risk in half within one month of treatment (Mann et al., 2005). Additionally, restricting access to guns and lethal medicines that could be used to overdose can assist in prevention. Simon and Savarino (2007) concluded that psychotherapy and psychopharmacology help decrease suicide attempts, but more research is needed to measure psychotherapeutic prevention. Overall, suicide prevention and intervention is complex. Practitioners never know how many people they prevented from completing suicide yet are unfortunately left with the pain of those who have been lost to suicide. — Sean C. Pumphrey, MSW, LCSW, works at the East Carolina University School of Medicine. Joe, S., Baser, R. E., Breeden, G., Neighbors, H. W., & Jackson, J. S. (2006). Prevalence of and risk factors for lifetime suicide attempts among blacks in the United States. Journal of the American Medical Association, 296(17), 2112-2123. Joe, S., Baser, R. S., Neighbors, H. W., Caldwell, C. H., & Jackson, J. S. (2009). 12-month and lifetime prevalence of suicide attempts among black adolescents in the National Survey of American Life. Journal of the American Academy of Child and Adolescent Psychiatry, 48(3), 271-282. Mann, J. J., Apter, A., Bertolote, J., et al. (2005). Suicide prevention strategies: A systematic review. Journal of the American Medical Association, 294(16), 2064-2074. Nock, M. K. (2009). Suicidal behavior among adolescents: Correlates, confounds, and (the search for) causal mechanisms. Journal of the American Academy of Child and Adolescent Psychiatry, 48(3), 237-239. Simon, G. E., & Savarino, J. (2007). Suicide attempts among patients starting depression treatment with medications or psychotherapy. American Journal of Psychiatry, 164(7), 1029-1034.